The Poorest Areas Civil Society (PACS) Programme is an initiative of the UK Government’s Department for International Development (DFID) aimed at reducing the gap in wellbeing status between the socially excluded groups in India and the rest of the population. It is being conducted by Swadhikar. PACS work with the civil society organizations to help groups claim their rights and entitlements, by promoting inclusive policies, programmes and institutions at local, district and state levels. The PACS Programme is in its second phase and the current seven-year programme (£25 million, 2009-16) supports the civil society organizations (CSOs) in promoting inclusive local, district and state policies. The PACS Programme was initiated in 2001. The first phase of the PACS programme ran from 2001-2008 and focused on reaching all poor groups in the selected districts of India. PACS reached 19,500 villages and 143 urban settlements in 94 districts spread across the six states of Maharashtra, Madhya Pradesh, Chhattisgarh, Uttar Pradesh, Bihar, and Jharkhand. The programme was implemented through more than 140 funded projects, involving around 470 civil society organizations. More than 17,500 CBOs were formed in the programme areas, with a total membership of around 211,000. About 80% of CBOs were SHGs, whose majority of members were women. PACS (2001-2008) had a considerable impact on the lives of the poor in the programme areas. It strengthened and improved the Panchayati Raj Institutions (PRIs), local self-governance bodies, making them more responsive to the needs of the poor. PACS also contributed to the increased representation of women in PRIs and increased awareness about the rights and realization of entitlements by the poor. The Centre for Health and Social Justice (CHSJ), New Delhi, is running a Responsible Fatherhood Campaign through the network Men’s Action for Equity in Madhya Pradesh. Alongside, its shared participation in movements for gender equity, many of its members have been active in various fields, such as community development, public health, education and the arts. MAE understands masculinism as a gender system that distributes patriarchal privileges to boys and men in a hierarchical order. It discriminates against girls and women as well as subaltern boys and men by deploying violence to perpetuate inequalities based on class, caste, sexual orientation, cultural difference and physical appearance. The Naman Seva Samiti (NSS) was conceptualized among 3 young professionals from different states of India and 4 community representatives from Madhya Pradesh. The team worked in Betul on community development for two years. In the meanwhile, 2 team members met with an accident which left them with permanent impairment. This experience of inaccessibility of services and the gaps between provisions for persons with disabilities and actual access, led to the quest for empowerment of the marginalized communities. The movement began by organizing the community in 30 Self-Help Groups in the span of three years, which was a learning process for both – community to realize their potential and NSS to identify permanent solutions of community empowerment. NSS is dedicated to develop and implement effective and efficient programmes aimed at poverty alleviation in the most deprived and vulnerable communities. It is a development organization committed to empowering the marginalized communities through a rights based approach. It initiated work in 1999 and is registered under the Madhya Pradesh State Society Registration Act 1973. 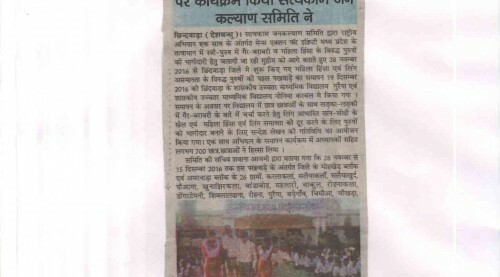 It has successfully transformed the marginalized communities in Madhya Pradesh to be independent and self-reliant. Its mission is collaborative and sustainable community development, and focusing on the inclusion of poor and marginalized communities while providing equal opportunities to the underprivileged section. 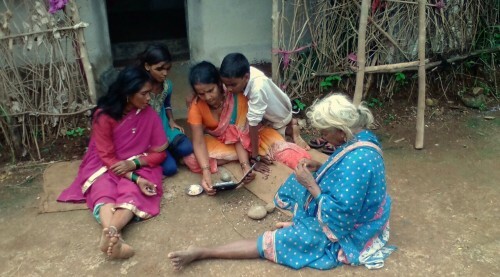 Since inception, NSS has reached out to more than 50 thousand individuals, including persons with disabilities and their families from tribal and backward communities.